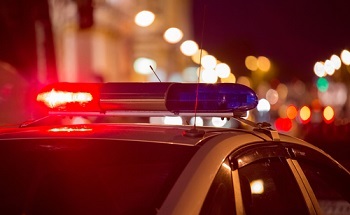 Most drivers have experienced that feeling of dread when, as they are traveling down the road, the spinning lights of a trailing police car signal them to pull over. Often, drivers regard these situations as minor. A speeding ticket is issued, or the lucky drivers are let go with a warning. However, even in these seemingly innocuous times, legal repercussions can be serious and life-changing. When Virginia drivers are charged with a traffic infraction or crime, there are always consequences. Whether it is a serious driving charge or the culmination of multiple smaller infractions, drivers should be aware of their rights and how to protect themselves behind the wheel. The lawyers at Greenspun Shapiro PC are here to help Virginia citizens understand those rights and work to ensure they are protected. Our traffic team is dedicated to resolving these cases as favorably as possible so our clients can move forward with their lives. If you or someone you love has been charged with a traffic crime or driving infraction, don’t hesitate to reach out. Call our Fairfax office today at 703-352-0100 to speak with a member of our legal team who can answer your questions and schedule a confidential case review. Even if you aren’t sure if your case is something we handle, or if you even need an attorney at all, contact us today to learn more about your rights and options. Our Fairfax traffic lawyers can examine your unique situation and help you determine how best to move forward. Take a moment to fill out our online contact form for a prompt response from a member of our team. Why Do I Need a Virginia Traffic Attorney? Once imposed, these repercussions take time to work through and remove. They can be lasting sources of financial strain, embarrassment, and frustration. It is best to mitigate or even avoid them from the start, a goal the Fairfax traffic lawyers at Greenspun Shapiro PC work hard to help every client obtain. Additionally, while it is possible to manage a straightforward case on your own, only an experienced lawyer can know and understand all the nuances of local traffic law. Our team understands what it takes to be successful in these cases, and we have years of experience vigorously representing our clients before the court to state a comprehensive, effective case. Many common excuses for traffic violations, including traffic factors and police behavior, are ineffective in court. Our lawyers know specifically how to interpret the law in different cases to give you the best chance of a successful outcome. Dedicated investigators. From a more basic traffic violation to the most serious crime, our lawyers exhaustively investigate every case. Armed with a full view of the situation, we help every client to be an empowered partner in defense to obtain the best result possible. Honest communication. Our attorneys offer a realistic view of the legal options and potential outcomes for every client’s unique situation. Each case may offer a different challenge and a successful outcome can be different for each client. We will work with you to help you understand your rights and options, and then provide you with a clear path to obtaining the best possible result. Comprehensive team guidance. We have a team of five skilled attorneys, led by Peter Greenspun, who work together to come up with the best legal path to pursue for each client. Our team doesn’t limit the types of traffic cases we take, so we have cultivated lawyers with a wide range of experience in all aspects of traffic law. If you or someone you love is facing a traffic infraction or charge, don’t wait to get help. Call our Fairfax law office today at 703-352-0100, or take a moment to fill out our online contact form (link to form when available) to learn more about the services the traffic lawyers at Greenspun Shapiro PC can provide.